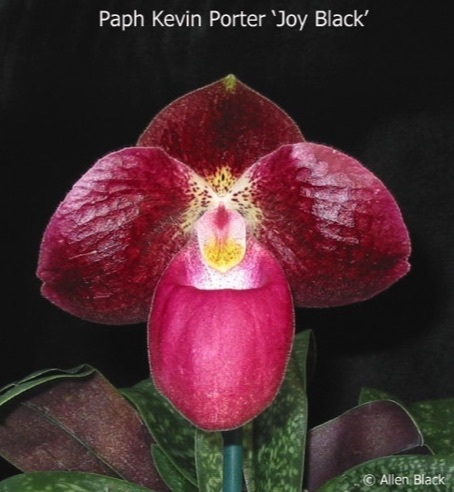 The Paphiopedilum images in this section are intended to provide a sampling of a wide array of Paphiopedilum breeding from the past to the present. 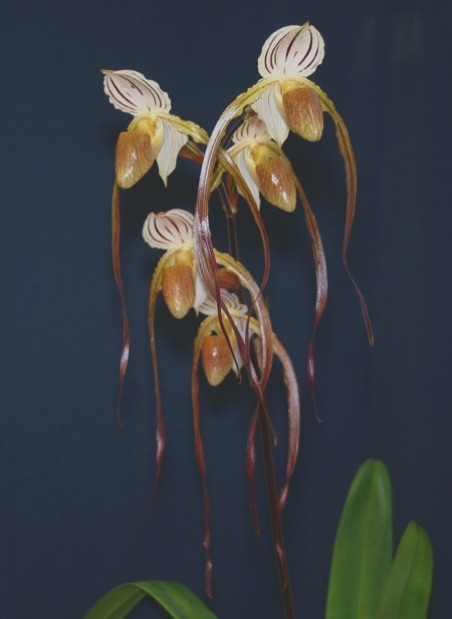 Some of the images are from SOA Journal articles, some from SOA members, and others from academic professionals and orchid businesses from many countries. 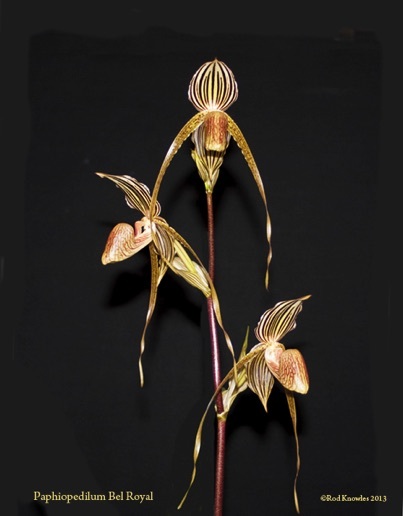 Some images may come from orchid shows and events from around the world. 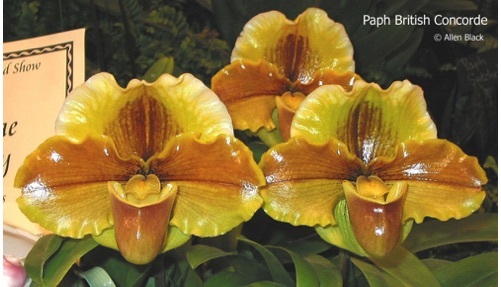 Given the thousands of hybrid Paphiopedilums that have been registered over the years, it is only possible to include a relatively small percentage of the total number of hybrids at any given time. 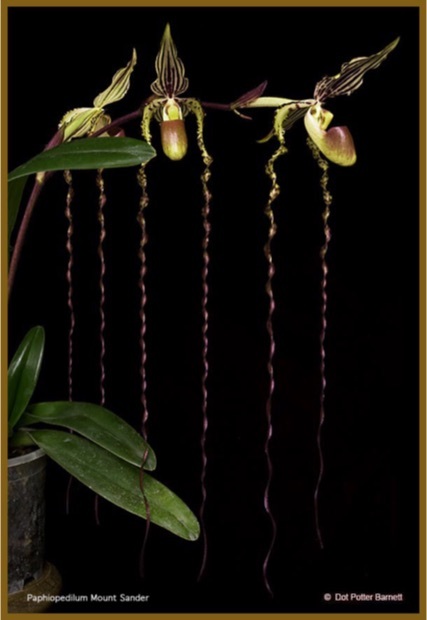 Therefore we will try to provide a continuously changing sampling of good photographs of highly regarded and awarded hybrids from slipper orchid growers worldwide. The SOA encourages all members to contribute their own photos of their own plants, plants from regional, national and international shows. SOA is also grateful to have many commercial growers as supporting members who share some wonderful photographs of their beaitufil slipper orchid plants. 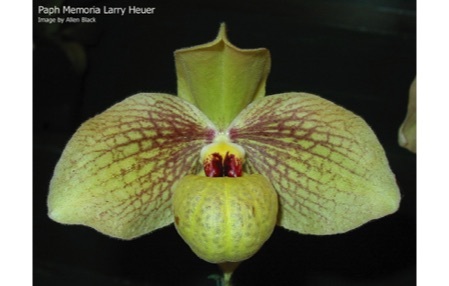 Be sure to visite the Photo Galleries section of the site to see special gallries of images pertaining to featured articles in The Slipper Orchid Alliance Journal. se respect copyright laws and do not use these photographs for any purpose without permission from the photogaphers. Images and questions about submitting images should be sent to the SOA Webmaster.